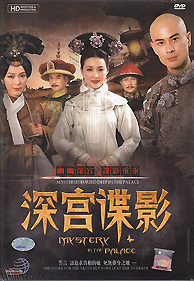 A drama about the court conspiracies and politics between the royal wives, princes, and officials during the reign of Kang Xi. When Princess Yi Dan fell with her brother, Emperor Kang Xi, in a night of passion, she left the palace out of remorse and guilt. She gave birth to Han Xiang and was murdered by a mastermind. Han Xiang grew up and entered the palace as a maid in search of her roots and her mother's murderer. There, she became entangled in the palace's conflicts and competition. Prince Ge Tai falls in love with her and, despite the taboo it might implicate, Han Xiang can't help but reciprocate his love.